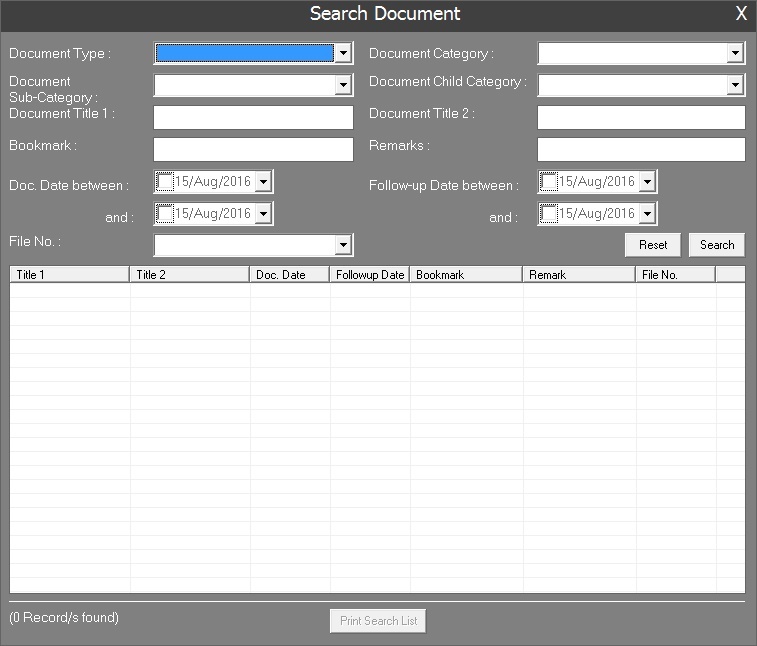 Indexit is a document indexing and search utility software to keep track of all your important scanned documents. It can be used by private small business oganizations or any type of Government organizations, who want to convert all their paper work into soft copy format. Indexit can keep record of .bmp, .jpg, .gif, .png scanned images and also Microsoft Word, Excel Worksheets, and Adobe PDF documents. 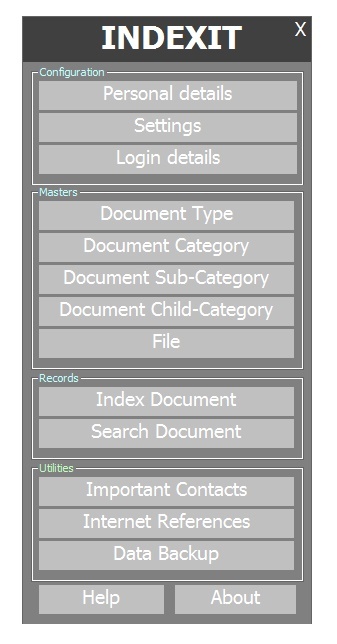 All the information relating to a particular document is stored under Document Type, Category, Sub-Category, and Child-Category and a link is given to each file. Main features of this software are listed below. Download a trial version of Indexit today and track details of all your documents at one click. Avail attractive discount by purchasing multiuser licenses. 3 User License costs Rs.3,500/- only.